It was some time after 2 am and I was sitting in front of a structure made of bamboo and cloth at Envision Festival in Costa Rica. It was warm enough that I was dressed in a tank top with a lightly glowing pink lei around my neck. There was burning sage in the tropical air and I could hear the violin from Emancipator lilting mesmerizingly from the mainstage. The space felt tranquil and subdued, which was exactly what we were going for. I was embedded with The Zendo Project, a group based in Santa Cruz, California, that provides a safe space for people having difficult psychedelic experiences and other emotional or personal challenges at festivals. The space was set up right next to medical by the entrance to the event. The Zendo Project trains and oversees volunteers who assist distressed festival-goers with “Psychedelic First Aid” – work that might sound akin to some kind of groovy, interdimensional therapist meeting a tortured, hallucinating adventurer on the astral plain to guide him or her safely through intense visions. My experience, however, was entirely different and far more fulfilling. My shift had just started and I was sitting with Yashpal, a Doctor of Natural Medicine in Costa Rica, when I got my first call of the night. At the request of a concerned friend, Yashpal and I went into the field to retrieve a young man from a hammock near the Lotus Stage. Confidentiality for guests is very important to the Zendo Project so we’ll call him “Charlie.” Charlie was fixated on convoluted stories about the politics of various government agencies in his home country, his fingers contracted like chicken talons – but with his permission we walked him back to the Zendo to get him situated on one of the beds in the gently decorated temporary structure. Yashpal immediately took me aside to coach me before I started. Yashpal emphasized the concept of “holding space,” meaning sitting rather than guiding, one of the Four Pillars of the Zendo approach to psychedelic support. With this in mind, I sat with Charlie and instead of trying to talk him down, I simply witnessed him to go through the experience. I focused my energy and attention on my own breathing and remained very calm. I created a center of gravity that grounded him without forcing him in any way. I listened attentively to his rambling and simply smiled, nodding in affirmation to his need for reassurance. After some time writhing on the mat Charlie asked me to help him get to the port-a-potties. On the way there he stopped and looked up at the stars. Without my Zendo training I might have encouraged him to keep moving to accomplish the task at hand but instead we simply stood there together for almost an hour as he told me about his dreams of being an astronaut and seeing Earth from Space. The beginning of his experience was desperate incoherence but over time it gave way to a place of deep and profound longing. I did nothing to guide him there. I stood by and kept him safe. As he accepted and felt his existential pain, Charlie became very calm. After using the bathroom he told me that he was ready to return to the festival. How did I come to be talking about astronauts and the stars in a Costa Rican jungle with a person I’d never met? In traditional shamanic practices, the psychedelic experience is considered sacred. Even a difficult experience is an opportunity for growth, healing and revelation. This is the approach taken by MAPS, the Multidisciplinary Association for Psychedelic Studies, which conducts the research that informs the Zendo Project and its Four Pillars, with which Zendo guides its volunteers and any festival attendees at the start of every event the organization joins. Read the full Zendo Project Training Manual here. Festival environments are designed to be highly stimulating: Bombastic sound systems, intense light shows and general cacophony create a surreal wonderland for adventure. But when things start to overwhelm, these dynamic effects can heighten anxiety. Zendo is designed to provide tranquility and comfort. In addition to feeling physically safe, the guest must feel emotionally safe, which involves volunteers exuding a non-judgmental, welcoming attitude. “'Set' refers to an individual’s internal state and includes emotional state and mood, pre-existing mental conditions, stress, comfort, and developmental stage," she explains. "'Setting' refers to an individual’s external conditions including where the person is, whom they are with, dosage, and drug interactions." Gael emphasizes that set and setting are not mutually exclusive, and affect and inform one another. When sitters pay attention to an individual's set and setting, a safety system, uniquely tailored to that individual, can be created, so that the individual can surrender to the experience, even if discomfort or fear arises. Rather than using direct intervention, the goal for the sitter is to allow healing to occur naturally. The tools we used were breathing, validating, mirroring and affirming. The importance of not intervening in a guest’s experience was emphasized over and over throughout the weekend. Does that mean that the sitter must be rigid and avoid engaging with the guest at all? “It can be useful to provide gentle reassurance or reframing of the experience," explains Chelsea Rose, Zendo's volunteer coordinator. "These methods of support reflect what is already happening for the individual, while also reassuring them that their experience is acceptable." Sitters are taught to understand that there is a natural process going on in the mind of the affected guest. Thus there is no effort to end the psychedelic trip prematurely; sitters must simply let the guest experience it with as much safety and comfort as possible. Linnae Ponté, Director of Harm Reduction at MAPS and Founder of the Zendo Project repeats the mantra of "Trust. Let go. Be open. Breathe. Surrender." Ponté says that when re-experiencing emotions from a past trauma, (which sometimes happens with psychedelics) having the space to feel the extent of that pain and suffering can be a pivotal to the guest's healing opportunity. A sitter must acknowledge that any emotions that bubble to the surface during a psychedelic experience are often strongly charged and can bring guests to the threshold of his or her consciousness. "Our job isn’t to intervene, but to trust whatever is happening for them, and whatever it brings up in us, and to know it’s all temporary," Ponté continues. "We live in a world where emotional discomfort is suppressed with all kinds of drugs and behaviors, and we give guests the opportunity to instead go into the discomfort, and find out what’s underneath it." The assumption that a difficult experience is “bad” can in fact contribute to the anxiety and general discomfort of the journey. “The mindset evident in the term 'bad trip' helps shed light on the outdated and often harmful methods by which these experiences are often addressed, including hospitalization and the involvement of law enforcement," explains Sara Gael. This approach to handling someone having a difficult psychedelic experience is common at events and often worsens or escalates a situation. They are methods that attempt to end or interrupt the individual’s experience and can send a message to the individual that something is wrong with them or that they are not safe." Clearly, that is not the ideal approach for someone who is already feeling overwhelmed or frightened. For a more complete explanation of how to support individuals who are experiencing an intense psychedelic experience, including important ethical concerns, check out the newly compiled: Manual of Psychedelic Support. This incredible resource was the result of a collaboration between researchers, artists, psychiatrists, therapists, psychonauts, and festival producers and is freely available under a Creative Commons license. Festivals have a long history of attendees needing psychological aid. This can be the result of substance use or because a stimulating festival environment The first known group of psychedelic first aid practitioners were The Hog Farmers, a hippie commune associated with the Grateful Dead and the Merry Pranksters. At the 1969 Woodstock Music & Art Fair, the Hog Farmers, lead by an affable clown named Wavy Gravy , ran security with “cream pies and seltzer bottles.” They manned what was known as the “bad trip tent,” supporting people who believed they had received poorly manufactured LSD. When participants recovered, they became practitioners who helped new patients. This process continues today with attendees who receive care in safe spaces often returning as volunteers at the next festival. Informal groups providing supportive zones continued at Grateful Dead shows in the 70’s and 80’s. Other notable psychedelic first aid practitioners over the years include the CALM Volunteers who have supported the Rainbow Gathering since 1972; White Bird, a group which provide free services at the Oregon Country Fair ; and Rock Med, a volunteer organization in the San Francisco Bay Area. This tradition has continued with the Green Dot Rangers and Sanctuary at Burning Man , who are guided by the similar FLAME Model: Find out, Listen, Analyze, Mediate and Explain. Joseph Pred, founder of Burning Man’s Emergency Services Department and the Green Dot Rangers and now an event emergency management consultant, was inspired in 1998 by municipal crisis intervention teams and Rock Med’s “Space Tent” model to create a combined professional and peer counselor framework to allow for both support in the field for emergency responders as well as creating a quiet and safe space for those in need. Since drug decriminalization in 2001, the country of Portugal has been a leading force in harm reduction. 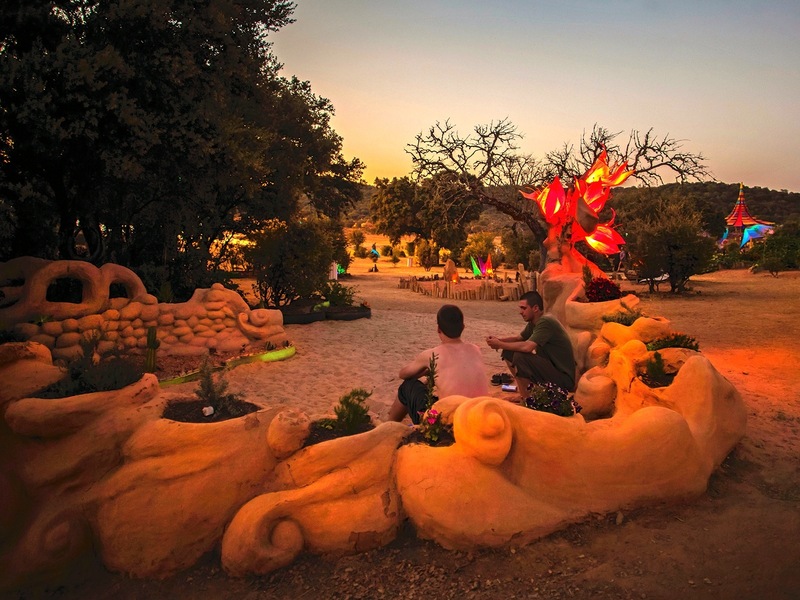 The world’s most sophisticated psychedelic safe space exists at Boom Festival . What began as a small dome called The Ground Central Station in 2002 has since evolved into The Kosmicare Cluster, which includes an annex teepee for participants in extreme situations and a traditional native American kiva for those experiencing something akin to a traditional shamanic journey. Kosmicare is described as “a safe place for grounding the galactic energies and intense experiences.” It is a collaboration between the festival, MAPS, Universidade Catolica do Porto and several governmental institutions. Because the environment is so open and collaborative, there has also been significant evaluative research conducted on its programs. Also in 2001, MAPS began bringing together medical professionals and volunteers to offer care and support for individuals undergoing difficult psychedelic experiences. It has since brought its expertise to help develop and support psychedelic harm reduction models at Boom Festival, Envision, Bicycle Day, AfrikaBurn in South Africa, and Burning Man. Founded by MAPS, The Zendo Project was launched in 2012 by Linnae Ponté. The project has received funding and guidance from MAPS as well as private funding, and the organizers have plans to launch another Indiegogo campaign this summer to help cover their costs. In addition to Envision, the Zendo Project will create a safe space at Lightning in a Bottle , AfrikaBurn and Burning Man in 2015. For festivals, this type of service can prove to be invaluable. 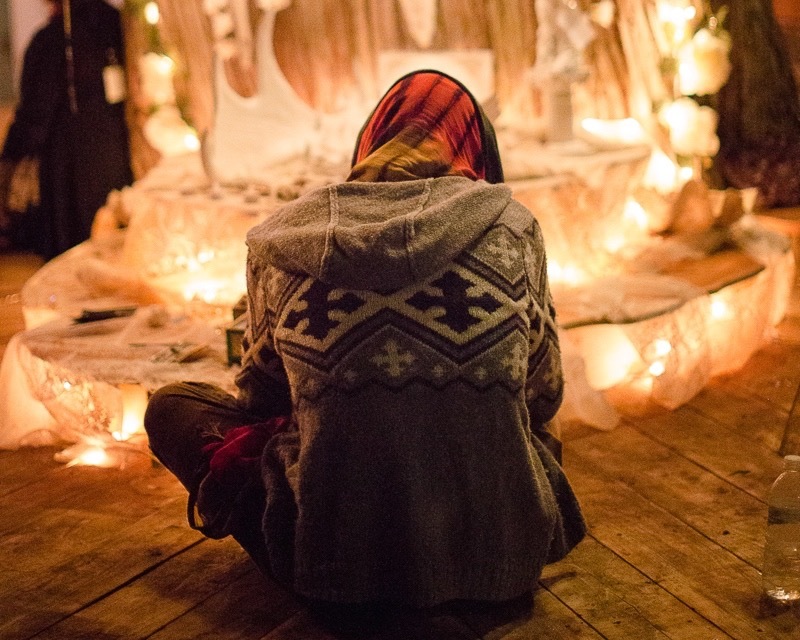 Shambhala is another festival known for its radical commitment to community care as well as its sophisticated efforts to ensure the safety of attendees. In addition to the Sanctuary, these initiatives include a zero alcohol policy, onsite drug testing, an outreach team, sexual health services and a safe space for women. In addition to providing a safe space and training for volunteers, part of Zendo’s mission is to demonstrate to the public how festival communities can take proactive measures to ensure event attendees have psychological support in order to reduce the number of drug-related hospitalizations and arrests. This involves working collaboratively with other onsite emergency service departments including medical and security. Kai Chotard, Envision’s Safety Director, expressed his gratitude for Zendo’s support. " 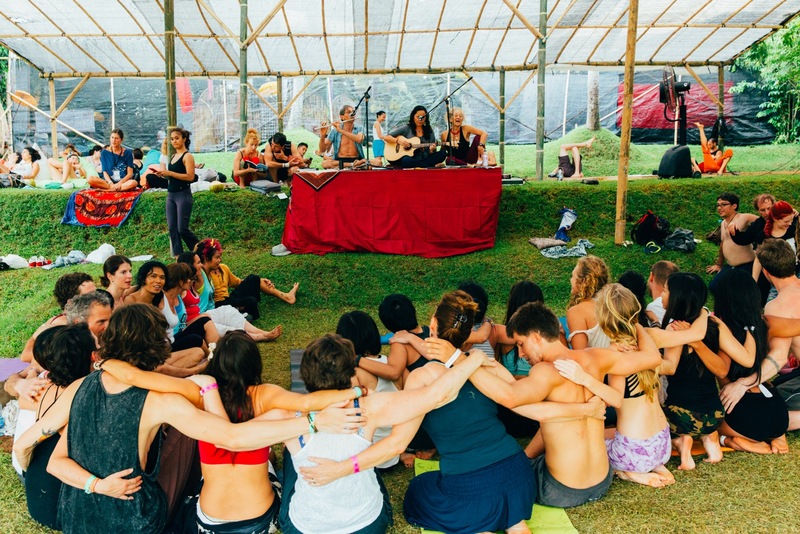 The immeasurable assistance that was directed by Zendo at Envision Festival is beyond words,” says Chotard. "Zendo's presence bridges the experimental needs of certain festival goers with a highly professional program that allows individuals to feel safe and secure while exploring new ways in a new place." While supporting the “experimental needs of certain festival goers” is something Zendo is know for, the lessons I learned were shown to be immediately valuable in a situation where my guest was on no substances at all. "Someone Told Me I Could Come Here and Talk to Someone." First we went over to medical to make sure she had everything she needed. After being briefly reviewed by an on-site nurse, Emily was given electrolyte water and a place to sit in the shade. Breathing deeply, I sat with her and listened to her story. She had been sober for four years and was traveling with two friends who were going through a toxic breakup. The negative environment with her friends mirrored a challenging home environment and represented exactly what she was traveling to get away from. She told me that she had come to Envision to have a spiritual experience. Even though she wasn’t having a psychedelic crisis, I used the techniques I had learned with Zendo and simply listened, breathed and held space for her. There were very few moments when I felt compelled to give an opinion and so when I did, it meant much more. She said that she was embarrassed and felt weak; I suggested that staying sober and coming for help was a powerful move. She said she had just wanted to have a spiritual experience in Costa Rica. I told her that, from my perspective, she was indeed having one. When Emily calmed down we looked over the schedule together and considered some enriching experiences and workshops she could attend by herself to make the final day of the festival really her own. When my shifted ended at 10 am I helped her transition to another sitter so that she could feel supported until she felt rested and was ready to leave. The Pollan article was quickly followed by similar explorations in The Atlantic and Forbes . In addition to research into medical applications, findings published in the Journal of Psychopharmacology demonstrate that psychedelic drug use “does not increase risk for mental health problems.” With renewed interest from a scientific standpoint and so much popular attention, it’s more relevant than ever that harm reduction techniques be made available where necessary and that informed professionals are able to offer a unified, calculated approach to psychedelic challenges. The Zendo Project provides an incredible service to those experiencing a crisis. There is also great value to the festivals from a production standpoint, freeing up the resources of traditional medical and security teams and sending the message that safety is a priority to attendees. Less obvious may be the deeply transformational experience provided for the volunteers themselves. It is a commonly held belief that when you give to others, you receive as much as you give in return. This is especially true when it comes to holding space for another’s psychological crises. What I found in the Zendo was a way to put my ego aside and simply witness another human’s transformation. I have always taken an assertive approach when friends have been in crises; I want to alleviate their hardship with a flood of advice or take away the problem and return it like a resolved Rubik's Cube. Zendo helped me realize that, while sometimes helpful, fixing things for others can sometimes usurp their power. In sitting with my guests I experienced what it meant to simply hold space – instead of trying to be a hero – and simply witness healing take place. Observing this transformation in my own way of thinking, I realized that in holding space for another to grow, I was also holding space for myself. I’d like to thank all of my generous advisors on this project: Sara Gael, Yashpal and Linnae Ponté of The Zendo Project; Cameron “The Festival Lawyer” Bowman; Joseph Pred; Justin Brothers and the entire Envision Festival Team; my intrepid fellow Zendo volunteers; and those courageous souls who came to get the help they needed.